Liposuction Candidates: Is Surgical Fat Removal Right for You? A balanced diet and regular exercise are keys to achieving and maintaining a healthy weight. Unfortunately, some fat deposits simply will not respond to proper nutrition and fitness. Many patients who want a more defined physique turn to liposuction for a little help. Dr. Madhukar Chhatre is a board-certified plastic surgeon with decades of experience who can help you achieve beautiful results through liposuction. He conducts in-depth consultations to identify liposuction candidates. Reach out to our Kansas City, MO, practice today and schedule your consultation. Dr. Chhatre will listen closely to your goals to determine if this or another treatment can deliver the results you desire. Both male and female patients can benefit from the procedure. As with all surgical procedures, liposuction carries a certain degree of risk. You can minimize these risks by choosing an experienced surgeon like Dr. Chhatre. Bleeding, infection, and other complications are rare, but possible. Patients may be at a higher risk of developing complications if they have diabetes, poor blood circulation, heart or lung disease, suppressed immune systems, or other serious health conditions. Tobacco use can make healing after the procedure difficult, compromising the aesthetic results. If you use tobacco, Dr. Chhatre can help you determine a timeline of quitting the habit so that it does not interfere with the results of surgery. Patients should have skin that is tight and supple enough to allow for aesthetically pleasing outcomes. The liposuction procedure will remove fat, but does not tighten or adjust the skin and underlying tissues. If you have recently lost a significant amount of weight, you may have stretched skin that will not retract. In this case, you may choose to combine liposuction with a body contouring procedure such as abdominoplasty to remove excess skin and tighten the remaining tissues. To ensure the best liposuction experience possible, it is important that patients have realistic expectations about what the procedure can achieve. Candidates must understand that liposuction is not a weight loss procedure. Patients should bear in mind that this treatment is designed to remove small, localized fat deposits of about ten pounds or less. During your consultation, Dr. Chhatre will listen closely as you describe your goals, and recommend the procedure or combination of procedures to help you achieve the results you want. 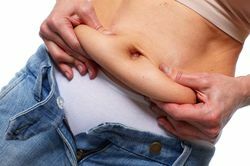 If stubborn fat deposits are making you feel self-conscious about your appearance, liposuction might be right for you. To find out if you are a candidate for liposuction, please schedule a consultation today. We look forward to helping you feel satisfied and confident about your appearance.